Lanza 1 Light LED Swing Arm Sconce In Polished Chrome With Off-White Shade. Finish Detail: Polished Chrome. Material: Metal,Fabric. Includes easily replaceable 9.5 watt dimmable, medium base, screw-in LED bulb with 800 lumen total output. 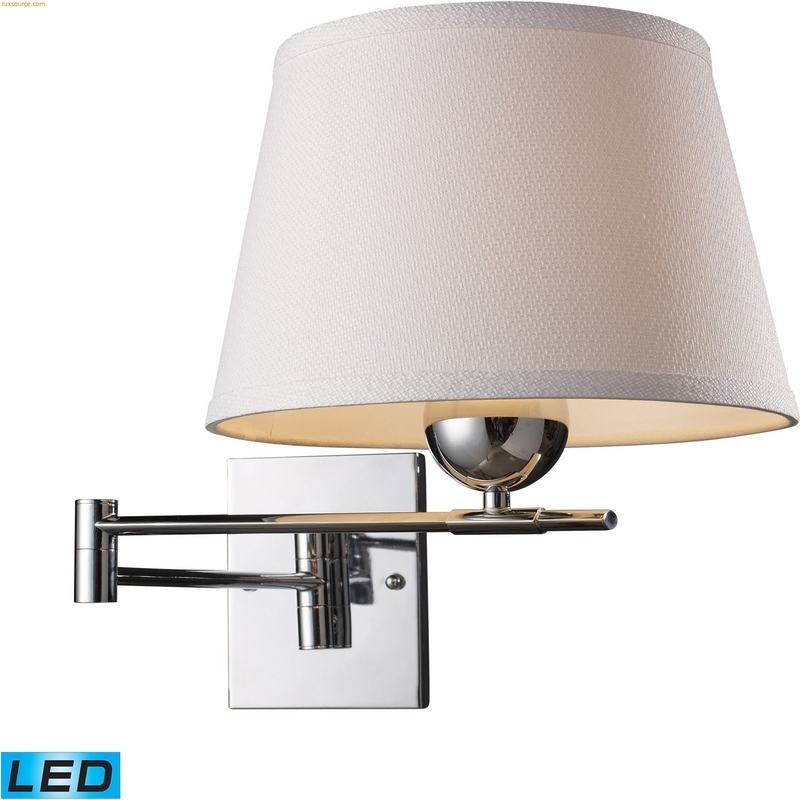 Fixture extends from 12-24.5-inches.